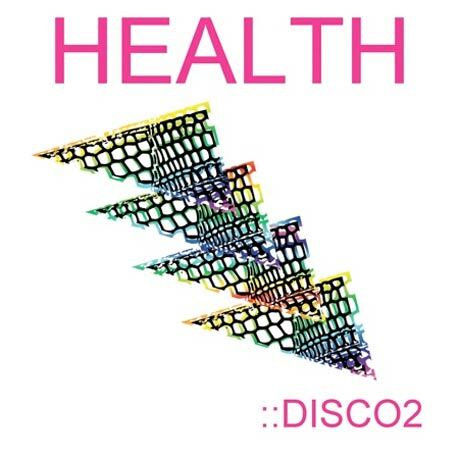 Following in their album/remix album/album pattern, LP-per-year noise rock outfit HEALTH have announced the release of DISCO2, a remix album of tracks from 2009's GET COLOR. The all-caps obsessives will drop DISCO2 on June 22 courtesy of long-time label Lovepump United Records. The album will feature new single "USA Boys," mixed by legendary producer Alan Moulder (My Bloody Valentine, Nine Inch Nails, Depeche Mode), and will include remixes of GET COLOR album tracks by Tobacco, Crystal Castles, Salem, Javelin and CFCF, among others. HEALTH will embark on a month-long North American tour this summer after a number of European dates in April, May and early June. They'll play two Canadian dates, one as part of Toronto's NXNE festival and one in Montreal. The dates will be supported by Indian Jewelry and Gold Panda, the latter of which has remixed "Before Tigers" for DISCO2.